As you can probably already tell, this is an extremely high end brand, which I love to drool over while I'm in Sephora. 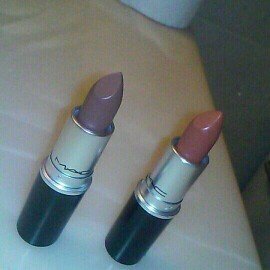 The formula of their lipsticks aren't my favorite, they're a bit too sheer for my liking. The Touche Eclait (Or however you spell it) concealer is amazing though. It is a smooth consistency and does a great job concealing the under eye area. My favorite aspect about it is the beautiful brightening affect it has. All in all, packaging and quality is great, but I still think the prices are ridiculous, which is why I'm giving the company four stars. The first foundation I ever used. Compares with many high end foundations. Medium to full coverage and good for all skin types. However, people with dry skin should proceed with caution, because this may stick to dry spots. With a good moisturizer, you should be fine. My only complaint is that, like most other drugstore foundations, it's too pink, and clashes with my yellow undertones. I bought this foundation seeking more coverage with a natural finish, and that's exactly what this foundation provided. It is a medium to full coverage buildable foundation with a natural looking finish. Throughout the day it started to look dewy but not oily. However, I've only tested it in the cooler weather thus far. I don't suggest it for people with oily skin types because I feel it will not contain the grease. All in all good foundation, but not my holy grail yet. I got a sample of this product and I really loved it. It applied smoothly and I really fest moisturized after applying it. It also served as a really good base for my foundation. It is a little pricey, so I'm saving up in the hopes of buying it and being able to give a really thorough review. I love these little speakers. The project the sound loud and clear, and are travel friendly. They're also chargeable which is always better than batteries. My only complaints are that it could be louder and it would be nice if the cord was longer. The good old faithful vaseline. If you don't have vaseline in your house, how have you been living? Nobody really knows what exactly it does, but everybody has it. One jar will last you your whole life, and it can be used for pretty much everything. I like it most for moisturizing my lips at night after I exfoliate. I also apply it to my eyelashes and eyebrows occasionally to help them keep their shape. I really dislike this moisturizer. It has an off smell, and didn't do much moisturizer. It felt like I was just smothering a layer of lotion on my skin. It didn't feel like it was seeping into my skin and moisturizing as it should've been. It also irritated my skin and caused tiny little bumps to break out all over my skin. If you have acne-prone, dry, sensitive skin, this is definitely not for you. Currently trying this conditioner out. I have dyed my hair multiple times so it is very damaged, and without a good conditioner it will turn into a tangled mess. I have thick black hair with damaged blonde ends and this conditioner does a good job at detangling and smoothing out my coarse hair. It's not anything magical, but it does the job of a decent conditioner. I never really understood the point of color correction but I'm glad I gave this a try.It does a good job at evening out skin tone but it's not a miracle worker. If you have really red acne scars like me, they'll still peek through this concealer. Also be wary of what foundation you apply over it, as it can give your face a greenish tint. The most important tip I could give you is to apply only where needed and blend with your finger.